Capital campaigns for schools, colleges, universities and fundraising initiatives require a consistent but flexible graphic identity. 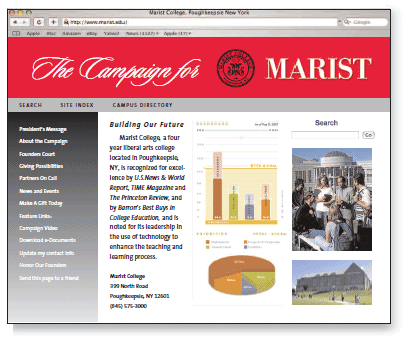 Roessner & Co. developed campaign identity and collateral material for Marist College consisting of the primary red banner and school logo. 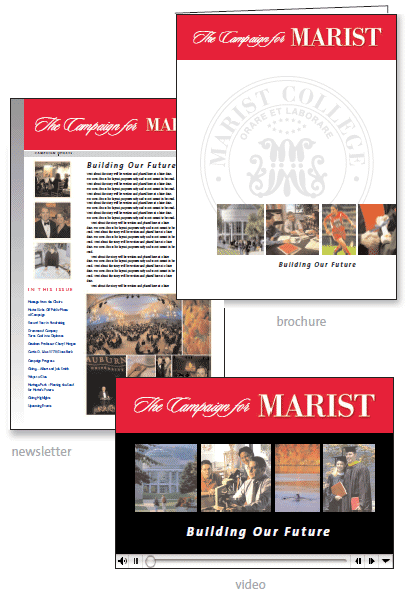 The program components include campaign brochure, website, video and newsletter. Additional fundraising mailers and notecards all carried the same theme and graphic standards for a strong, consistent and impactful program.